Pretty in pink? Anything! 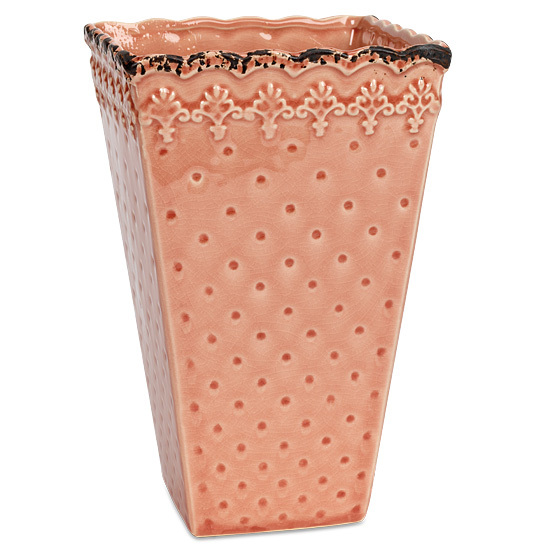 Our weathered ceramic vase with its scalloped edge, pin-dot detailing and crackled finish stands 8” high. Perfect for any occasion when paired with a fresh bouquet of white or pastel colored flowers.